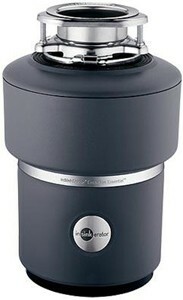 InSinkErator > Evolution 100 Waste Disposer, Continuous Feed. 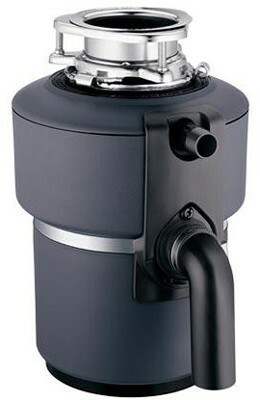 Evolution 100 continuous feed waste disposer (waste disposal unit). 5 Years InSinkErator parts & labour guarantee. Includes stainless steel strainer basket and plug. Auto reverse 2 stage grind action. Grinding chamber capacity: 1005 ml. Stainless steel grinding chamber and grinding elements. Motor overload protection with manual reset. Quiet sink baffle with multi layer sound insulation. 40% quieter than standard waste disposal units. Dishwasher waste water can be connected for extra flushing through of food waste. Easy installation with 'Quick Lock' mounting system. 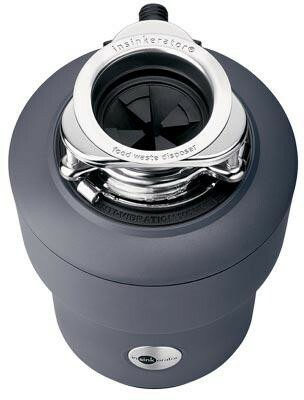 InSinkErator food waste disposers are the best-selling brand in the world, and with good reason: they're the easiest disposers to install and they provide the greatest peace of mind. All models offer Dura-Drive Induction Motors - these powerful, heavy-duty motors are manufactured by InSinkErator to exacting specifications that help ensure high performance and long life.